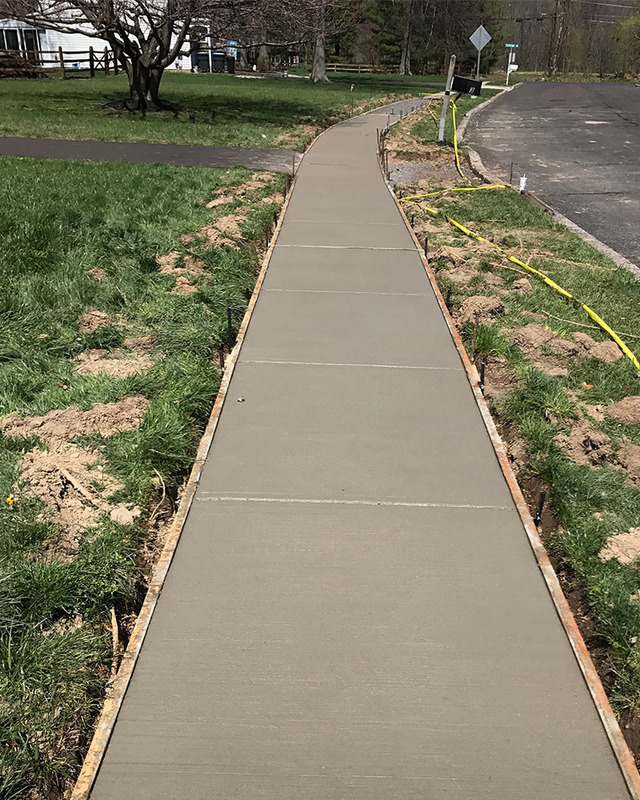 When looking for a concrete contractor for a sidewalk repair or concrete apron repair in Bucks County and Montgomery County, Schmidt Paving understands how to install and repair concrete sidewalks and aprons properly. From concrete flatwork to concrete dumpster pads, concrete curbs, concrete sidewalks, Schmidt Paving prides itself on professional installation of concrete and asphalt paving. Hiring a concrete contractor that is also an asphalt paving expert, has its advantages. Our highly skilled professionals only use a certified mix and are ready to help you with all your concrete needs. Have peace of mind knowing that we are a fully insured company and all of our workmanship is guaranteed. So whether you need help at your commercial or residential property, we will get the job done right. Schmidt Paving serving Bucks and Montgomery Counties for over 50 years!